Cemeteries are like libraries. They contain the final resting places of thousands of people, each with their own separate and unique story. Some of these people are famous, and their stories are well known. Most are not, but that doesn't make their lives any less interesting or their stories any less worthy of being told and remembered. Sept. 27, 2013 -- In early 1945, Pfc. David Maldonado Gonzales was home for a brief visit before he was to be shipped overseas during World War II. During that visit, he had his first chance to hold his newborn baby, David Jr.
"Take good care of my son," the 21-year-old Gonzales told his wife, Steffanie, and the rest of his family, "because I'm not going to be coming back." Gonzales, the oldest of 14 children, was born in East Los Angeles and raised in Pacoima, Calif. He enlisted in the Army in March 1944, and was serving with Company A, 127th Infantry Regiment, 32nd Infantry Division. After his brief visit home, Gonzales was sent to the Philippines as an infantry replacement, part of the massive Allied effort to recapture Luzon Island from Japan. The Philippine Islands were considered a critical strategic location during the war. Luzon, the largest of the islands, was captured by the Japanese in 1941, and Gen. Douglas MacArthur, the military commander of the Philippines, made it one of his key objectives to take the island back. It wasn't until Jan. 9, 1945, that U.S. and Philippine troops launched an attack on Luzon. More than 70 Allied warships approached the island, with air support targeting Japanese gun positions. An estimated 175,000 troops landed on the island, and began advancing toward Manila. Movement was slow across the island's mountainous and rugged terrain. Making things more difficult, the Japanese forces had dug a massive network of tunnels and caves to hide and move around the island without detection. In an effort to destroy those tunnels and caves, the U.S. Army Air Corps started dropping 500-pound bombs with delayed fuses on Luzon. The massive bombs would bury themselves deep into the ground on impact, and then explode, collapsing the tunnels and caves. By early February 1945, MacArthur announced that U.S. troops had surrounded the city of Manila. 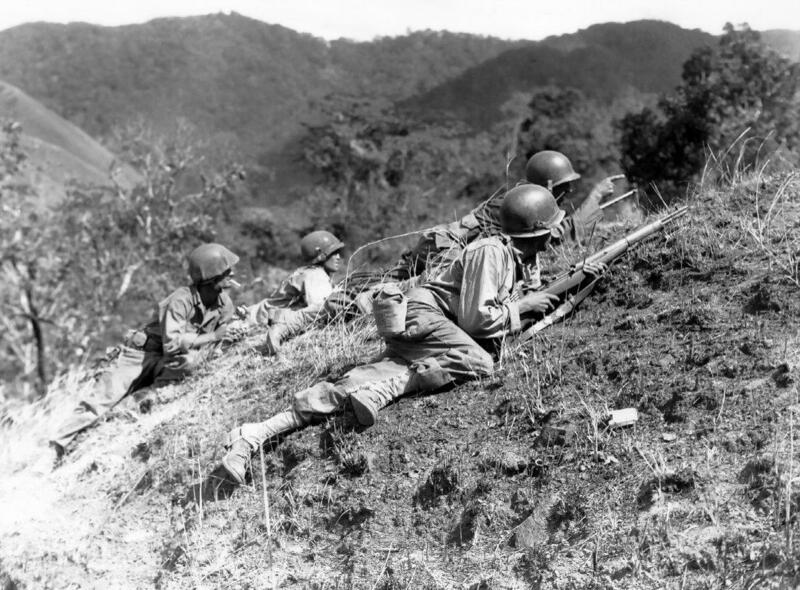 The following month, U.S. and Filipino troops had taken control of all key parts of the island, although some Japanese forces were still hiding out in the mountains. Most eventually gave up with the unconditional surrender of Japan in September 1945, but some remained in the mountains for years after. Although the U.S. had taken Manila, there were still plenty of Japanese soldiers hiding out in the mountains, with access to supplies and reinforcements. The 32nd Infantry Division was given the job of securing the Villa Verde Trail, a 27-mile dirt path from the rivers and foothills up to an elevation of 5,000 feet. 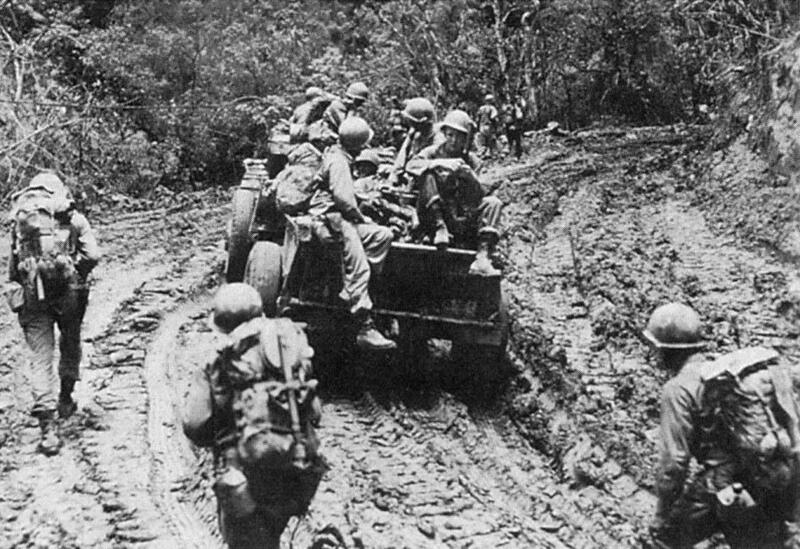 The rough terrain, winding switchbacks, and steep, narrow, muddy route made it impossible for large support vehicles to accompany the troops, so the soldiers set off on foot in the stifling heat and humidity, along with a few Jeeps. Securing the trail was essential to cut off a key Japanese supply line. The Villa Verde Trail was surrounded by dense vegetation and swarming with Japanese troops, who could easily launch ambushes from their caves and tunnels. The surprise sniper attacks came often, and casualties were high -– during the six-week campaign, 825 U.S. soldiers were killed and more than 2,000 were wounded on the Villa Verde Trail. 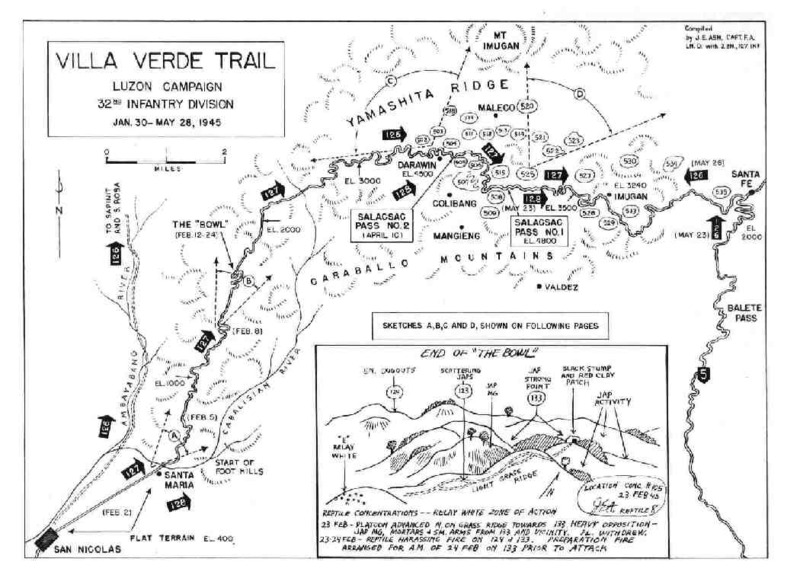 On April 25, 1945, Gonzales and the 127th Infantry Regiment were on the Villa Verde Trail when they encountered Japanese forces, and were pinned down in their positions on Hill 507. During the battle, U.S. planes were called in to drop the 500-pound bombs in an effort to destroy the underground hiding places of the Japanese troops. Unfortunately, one of the bombs landed on the wrong hill, near Gonzales' company, and trapped five American soldiers in their foxholes. Immediately, Gonzales grabbed a shovel and crawled 15 yards amid the continuous enemy gunfire to try to dig out his fellow soldiers. His commanding officer was also crawling toward the foxholes when he was hit by machine gun fire and killed. With bullets flying all around him, Gonzales used the shovel and his hands to dig the first two men out of the rock and sand where they were trapped. To dig faster, Gonzales stood up, even though he knew that would make him a better target for the Japanese snipers. As the third man was freed and ran to safety, Gonzales was hit and killed. Eventually, all five of the trapped men were able to escape. The third man who was pulled to safety by Gonzales was Sgt. William Walter Kouts, who wrote the initial report on the battle on Villa Verde Trail, describing Gonzales' heroic efforts. On Dec. 8, 1945, President Harry Truman posthumously awarded Gonzales the Medal of Honor, the nation's highest military honor, bestowed for personal acts of valor in action, above and beyond the call of duty. The award citation states, in part, "Pfc. Gonzales’ valiant and intrepid conduct exemplifies the highest tradition of the military service." Three other men were also awarded the Medal of Honor for their actions during the bloody six weeks on Villa Verde Trail -– Pfc. William R. Shockley, Pfc. Thomas E. Atkins and Staff Sgt. Ysmael R. Villegas. 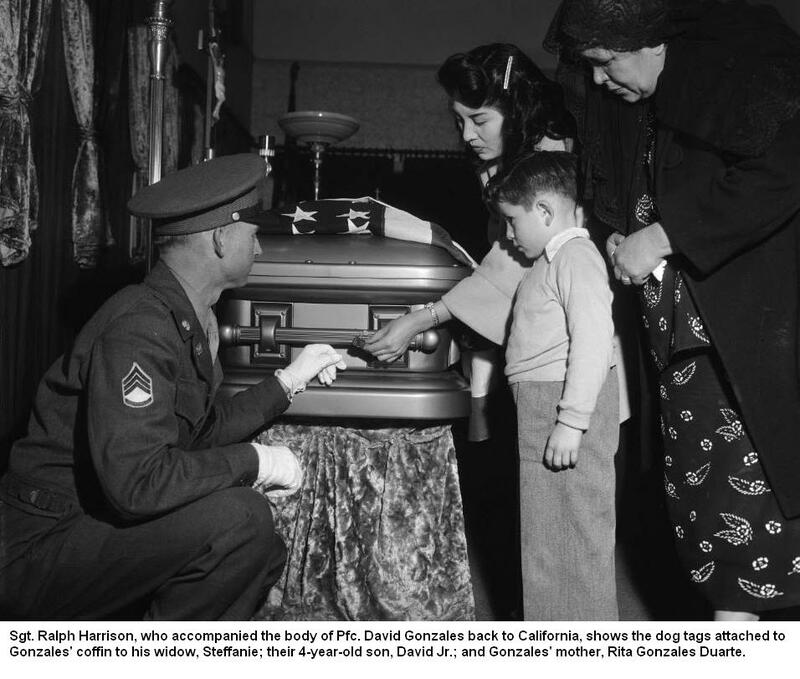 Gonzales' body was returned home to Southern California in 1949, with funeral services held at Our Lady of Talpa Church in East Los Angeles. Gonzales was buried with military honors at Calvary Cemetery. Gonzales was the only resident of Los Angeles County to receive the Medal of Honor in World War II. At about the same time as Gonzales' body was returning home, his younger half-brother, Phillip M. Duarte, enlisted in the Army. 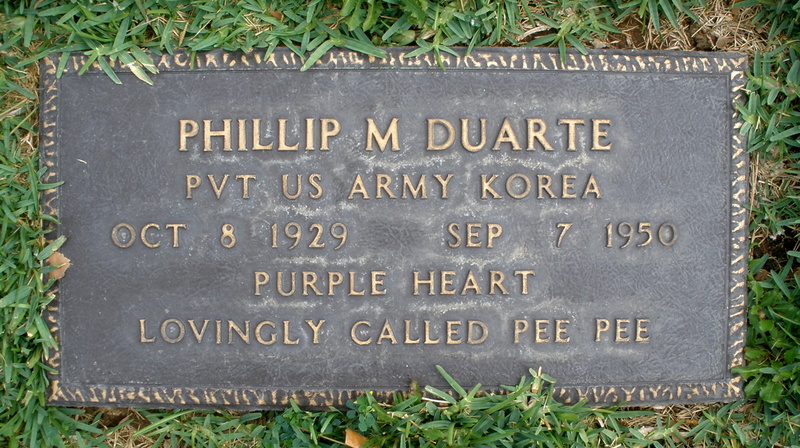 On Sept. 7, 1950, Duarte, a combat infantryman, was killed in action in Korea, a month before his 20th birthday. His body was returned home, and he was buried next to his brother at Calvary Cemetery. 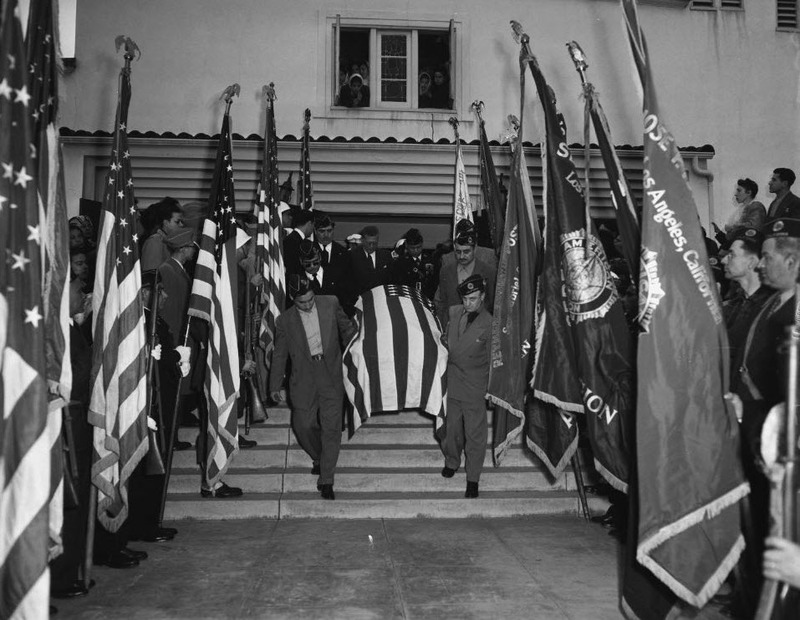 In 1998, members of the Gonzales-Duarte family were attending a Veterans Day celebration for Mexican-American war heroes at Santa Ana College when they noticed a display honoring Medal of Honor recipients. When they found the citation for David Gonzales, they noticed that the photograph that accompanied the citation was of a different soldier. They also discovered that the same incorrect photo was part of Medal of Honor exhibits in Washington, D.C., Los Angeles, and an Army recruiting exhibit of Latino Medal of Honor recipients. The family sent letters to the Army and U.S. Rep. Howard L. Berman to tell them about the mistake. The letter to Berman ended up on the desk of Fred Flores, a Marine Corps veteran and Berman's director of communications and community relations, who remembered seeing Gonzales' name in the Pentagon's Hall of Heroes when he was stationed there in 1987. "I was walking down the hall when I saw the name Pacoima up on the wall," Flores recalled. "It's my hometown, too. I remember thinking, damn, a guy from Pacoima won the Congressional Medal of Honor. I was so proud. I never realized the man I was looking at wasn't Gonzales." 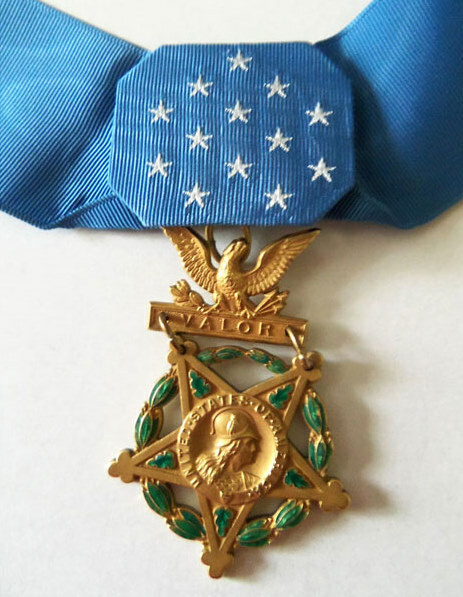 During his investigation, Flores also discovered that, in addition to the Medal of Honor, Gonzales also received additional medals and citations which were never passed along to his family. At a ceremony on Nov. 7, 2002, at Los Angeles Mission College in Sylmar, Berman presented the medals to Gonzales' son, David Jr. -– two Bronze Stars, the Purple Heart, the Asiatic-Pacific Campaign Medal with two bronze service stars, the Combat Infantryman Badge, the Expert Rifle Badge, the Philippine Liberation Medal, and the World War II Victory Medal. "On behalf of the United States of America, I would like to present to you these medals earned by a true hometown American hero," Berman said to David Jr.
"He was a regular guy with family back home," said Assemblyman Tony Cardenas of Panorama City, "yet he stood up in the line of fire to save the lives of people so they could continue to fight for our freedom." Gonzales has also received additional honors. 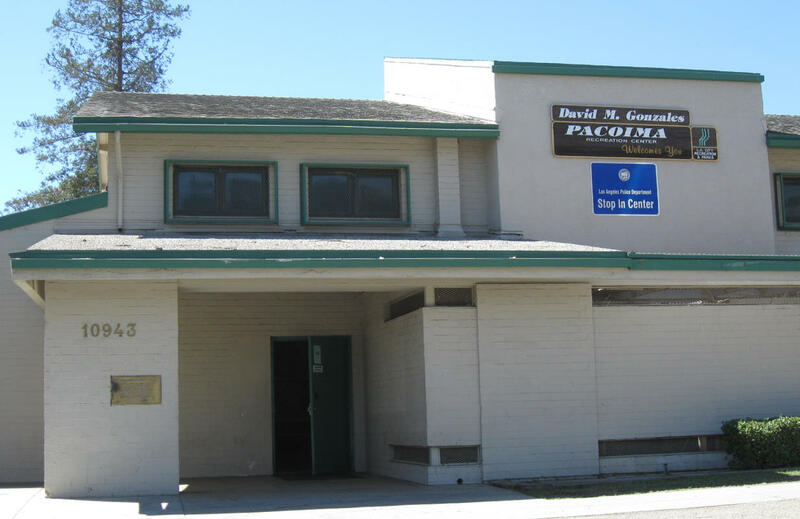 A park and recreation center in his hometown of Pacoima, just a few blocks from his home on Sutter Avenue, was named in his honor, as was a county probation camp near Malibu and an Army recruiting center in San Fernando. 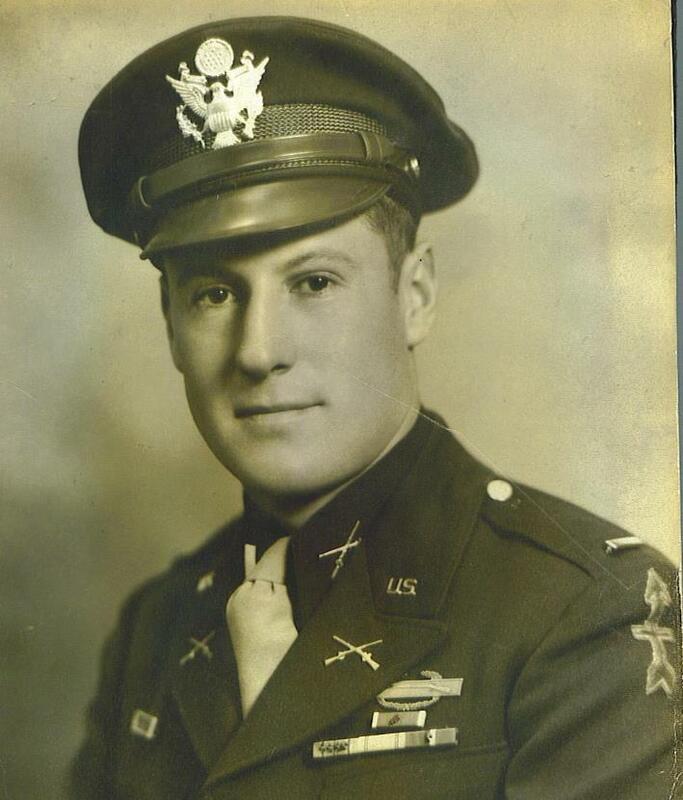 Meanwhile, William Kouts -– the third man pulled by Gonzales from the collapsed foxhole -– left the Army at the end of the war, but returned to serve as a captain during the Korean War. After the war, he married, had three children, and eventually retired in Georgia. But Kouts never forgot about Gonzales, the man who saved his life on that hill on Luzon Island, the man who never got the chance to return home and raise his family. He wanted to get in touch with Gonzales' family and personally thank them, but he didn't know how or where to find them. In early 2007, Kouts was 85 years old and in failing health, so his children worked to try and make his wish come true. Kouts' daughter Maribeth had read a story about Gonzales and contacted the author, who was able to put her in touch with David Gonzales Jr.
Kouts invited David and his wife, Beatrice, to visit him in Georgia, over the Memorial Day weekend in 2007. Kouts told David the story of how his father had saved his life, and how he died a hero, and David showed Kouts the framed Medal of Honor which had been hanging on the wall of his mother's home. Kouts died a few years later, on Oct. 30, 2010. And now, there might be another honor for Gonzales, and another way for a new generation to remember his name, and honor his actions. On Sept. 12, 2013, a resolution was introduced in the California State Senate by State Sen. Alex Padilla to designate the interchange of State Highway Route 5 and State Highway Route 118 -– the closest major freeway interchange to Gonzales' home -– as the "David M. Gonzales Medal of Honor World War II Memorial Interchange."